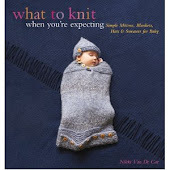 What To Knit When You're Expecting: Rescue! I have ripped out Plain and Simple. 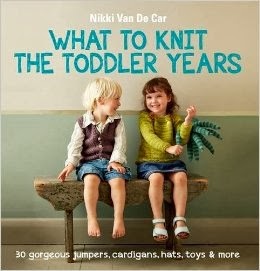 It's a beautiful pattern and I know I would have worn it all the time but I simply couldn't face knitting it. It was supposed to be my Knitting for The Trip (we're going to Hawaii in a week, by the way) but dear God stockinette on US 2 needles is not likely to keep me from going berserk while sitting on the tarmac--if anything, it'll probably set me more on edge. But I would have probably kept going had not somebody come along and saved me--and here is why we all know it is wonderful to have knitter friends. Who else would show up with not one but two skeins of Alpaca with a Twist Baby Twist, plus a little bonus skein of tasty forest green Brooks Farm Acero? I don't know what the Brooks Farm will be, but I've already cast on the Alpaca. I based my choice on which pattern had the least stockinette, and therefore settled on Svalbard. And wow, what a difference! That pattern is nuts! And awesome! The combination of raglan and chevron increases had me scratching my head at first and I still have to check the pattern all the time to make sure I'm doing it right, and it's So. Fun. I love raglan sweaters, I think they look great on me and are super comfortable, and I love playing around with their construction, but I've just been schooled. Rock on, Bristol Ivy. Now the only problem is that I have to force myself to stop knitting it all the time, because it's supposed to be Knitting for The Trip and what if I run out?!? That would be a tragedy.